I don't think I have a signature style as such, but I have been using an awful lot of seam binding lately... so I hope that counts! And I'm also throwing my hat into the ring for the Paper Crafts Gallery Idol. I don't have even the teeniest chance of getting through the first round, but I figured I'd enter anyway. This card is absolutely fantastic!!! Your colors, your take on the sketch, the stamping - just fabulous :) Good luck! Absolutely stunning! This is one of my favourite colour combinations! Crisp and elegant! I love your bow!!! Thanks for playing at Pals Paper Arts! 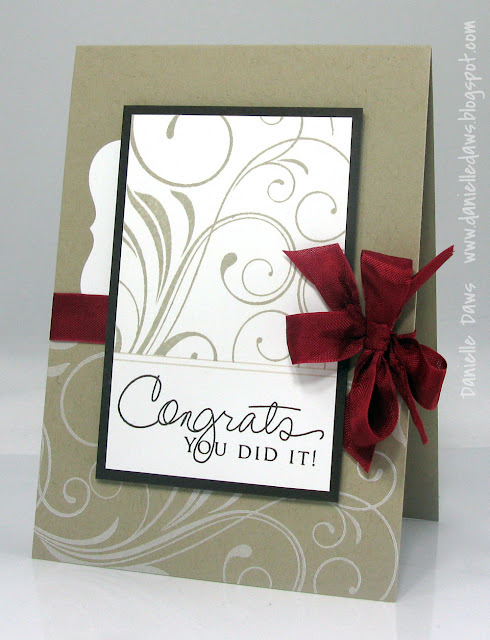 beautiful card, I was just wondering who makes that Fancy Flourishes stamp please. Gorgeous! Love how clean and crisp this is! This is GORGEOUS! I love the seam binding you used! Thanks for joining us at the Ribbon Carousel Challenge! You have every chance my dear and this definitely is your signature style. Classic and elegant. 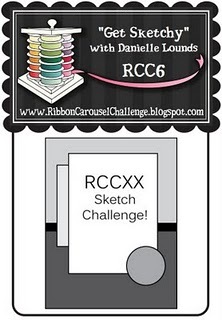 As a new RCC blog follower, your creation for the RCC design sketch challenge was one of the few that stood out to me! KUDOS! 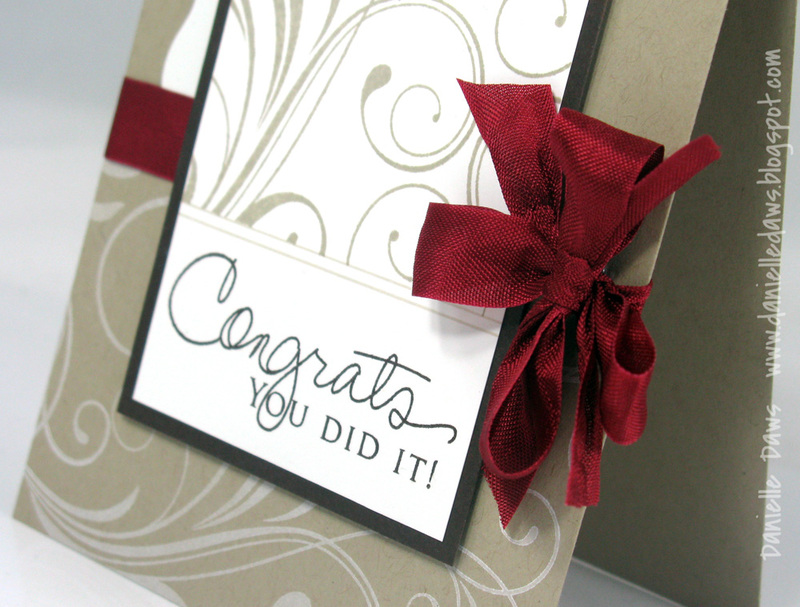 The card is extremely elegant! UStamp World Showcase - FREE Event!